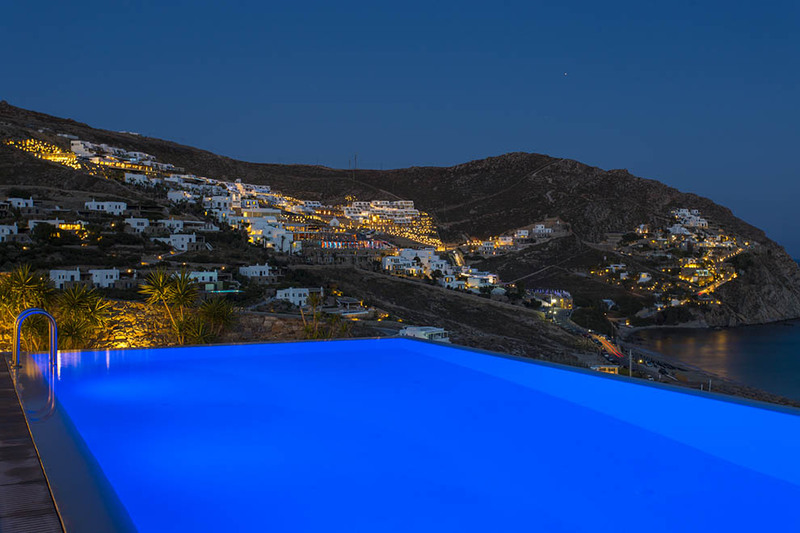 The amazing Villa “Carmina“ lies at the top of the hill at the southern part of the island of Mykonos, just above the beautiful Elia gulf. 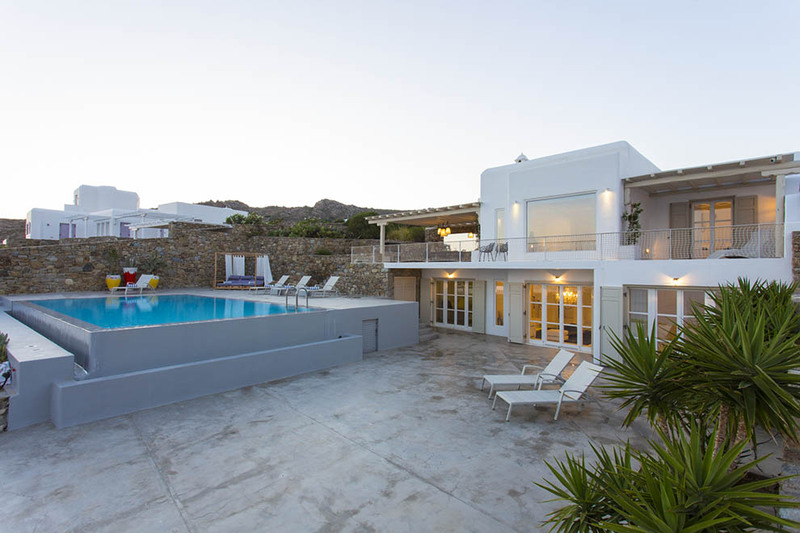 The close distance to some of the prettiest and renowned beaches of the island makes Villa “Carmina“ even more attractive. 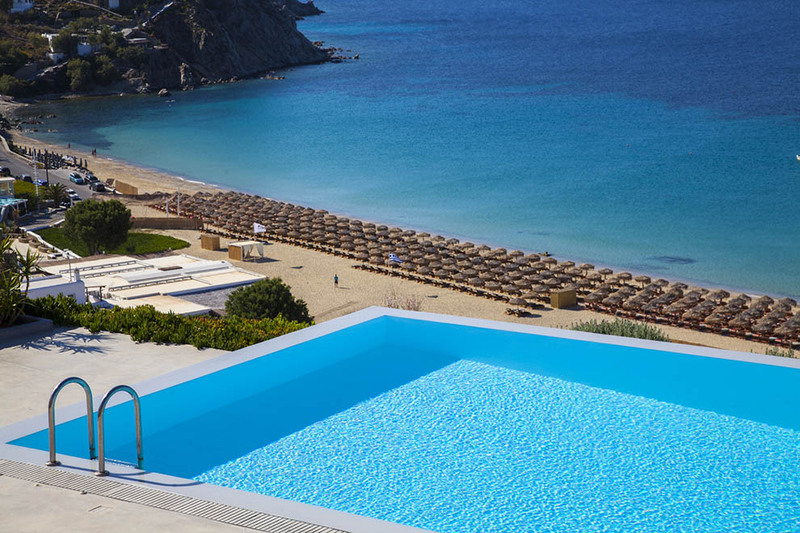 Only a few minutes of drive will separate you from the magnificent Elia beach that is perfect for chill out on its gold-sandy beach and swimming in its turquoise crystal waters or trying its water sport activities. 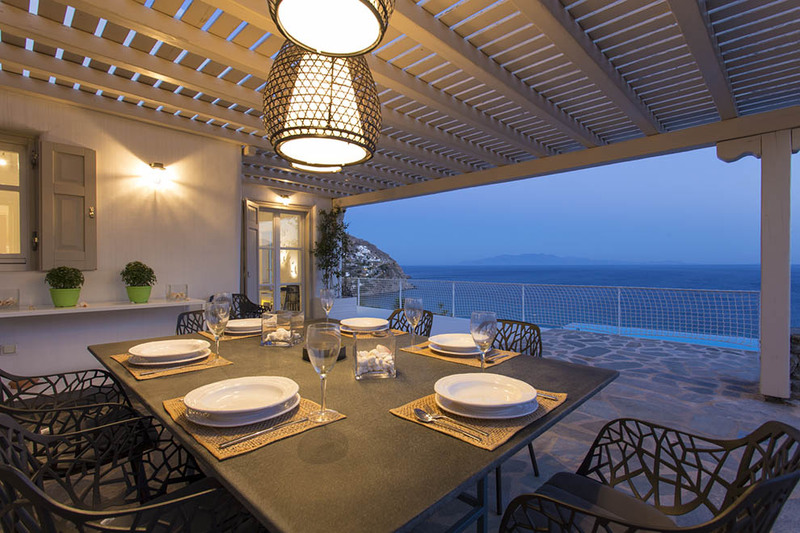 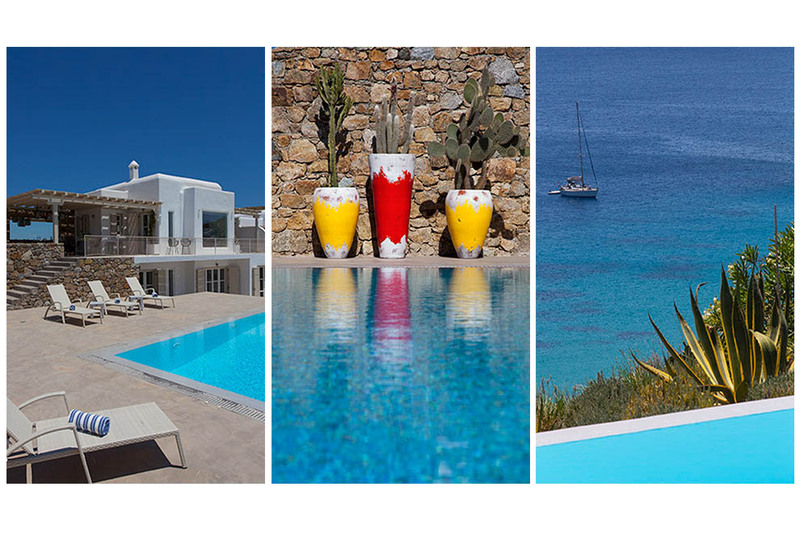 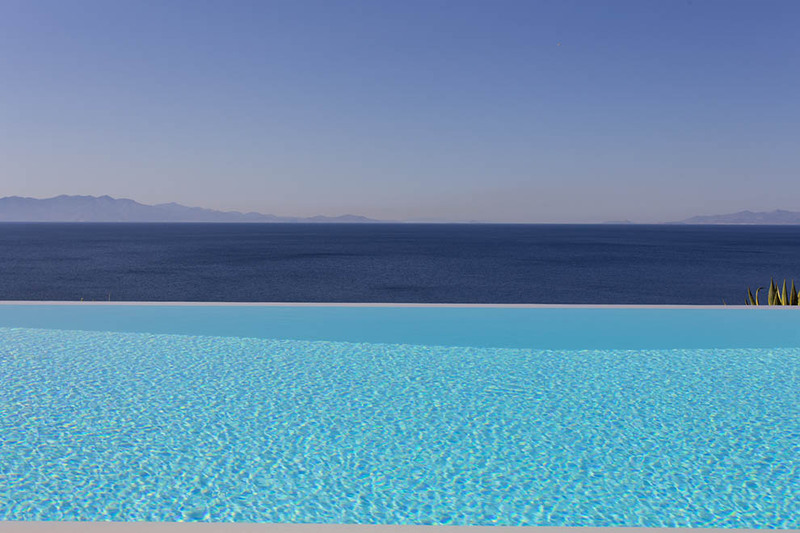 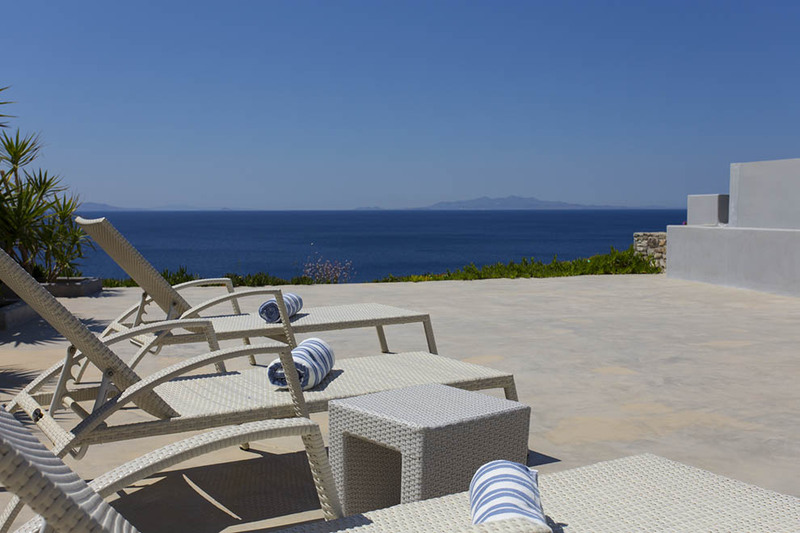 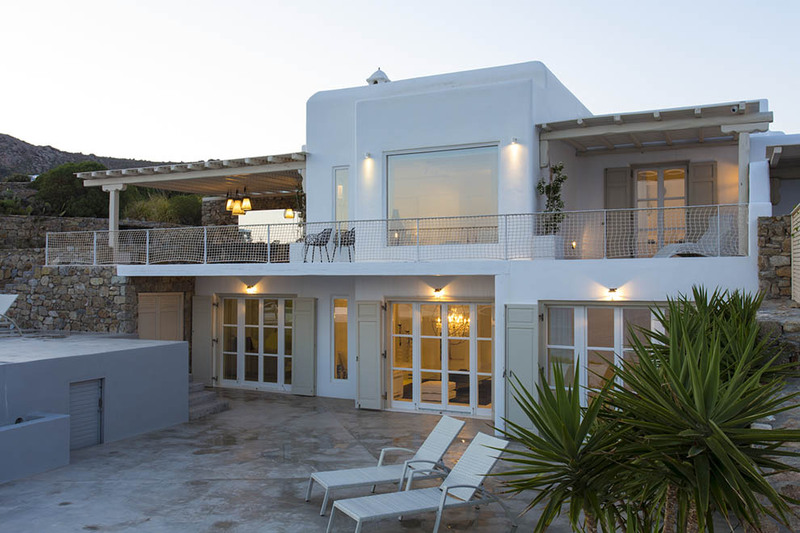 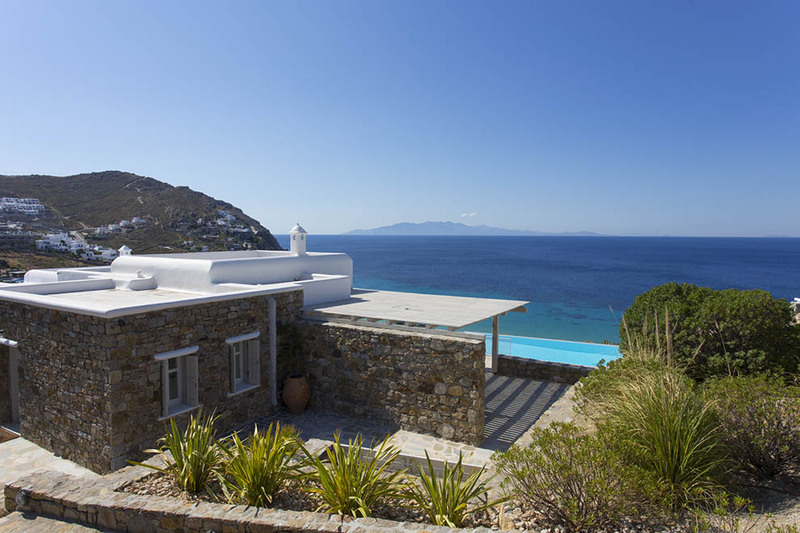 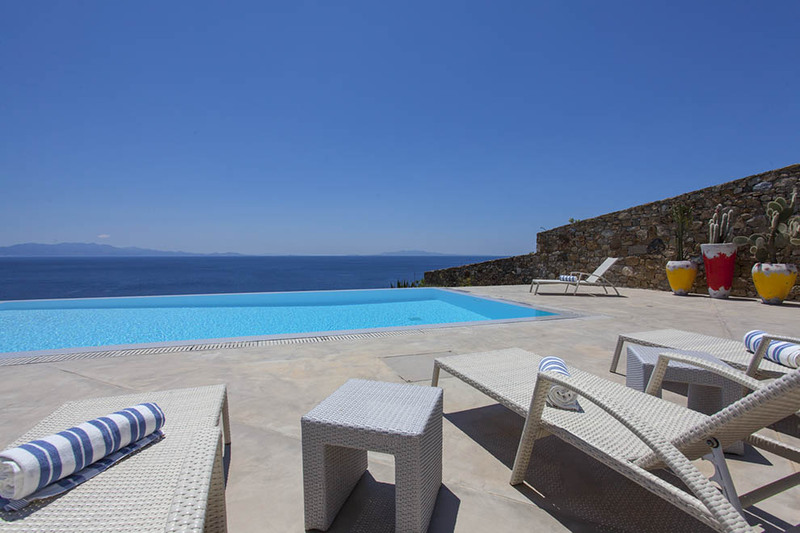 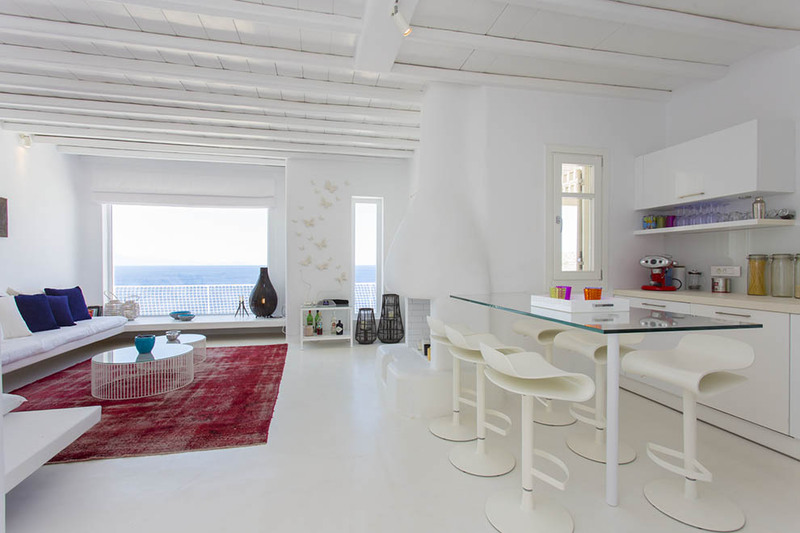 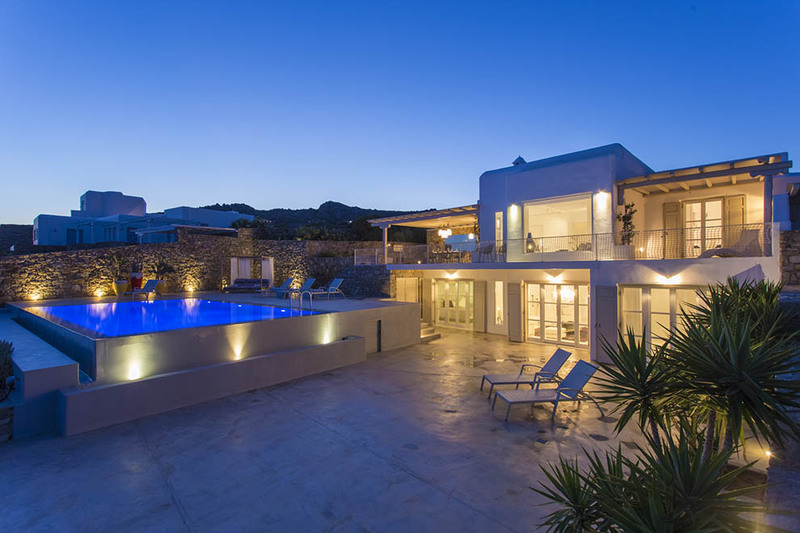 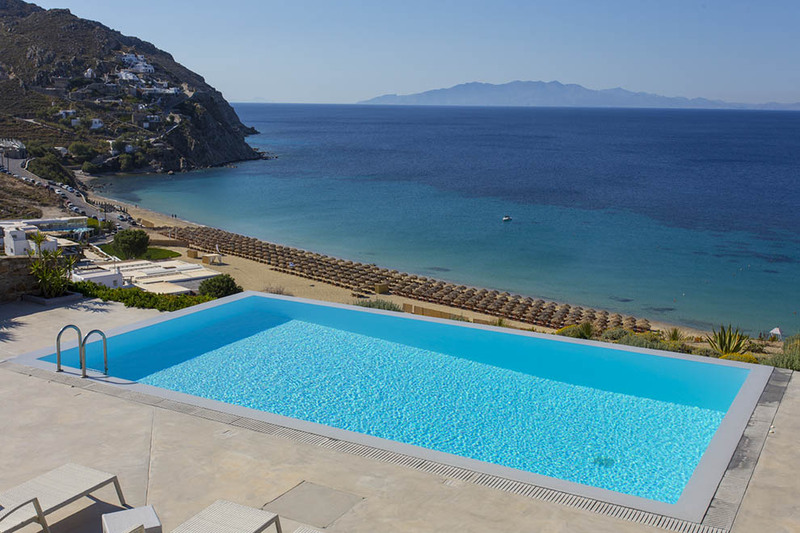 Villa “Carmina“ boosts extensive views of the endless Aegean sea and to the neighbor islands of Naxos and Paros. 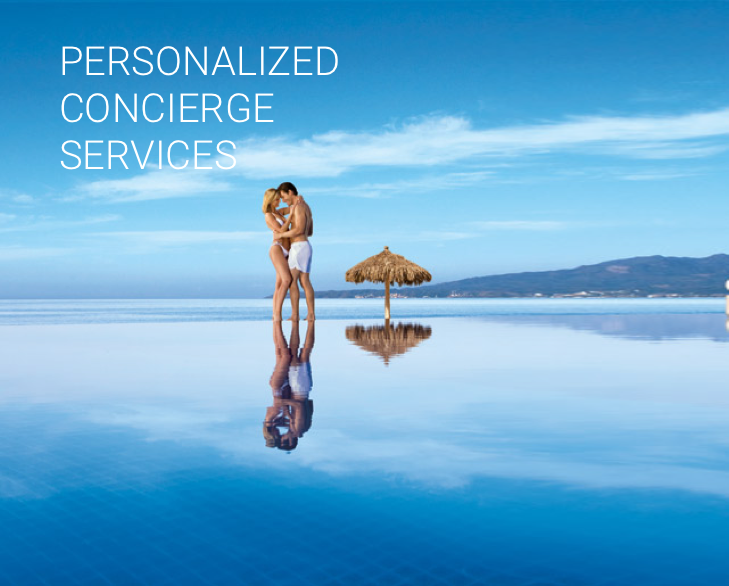 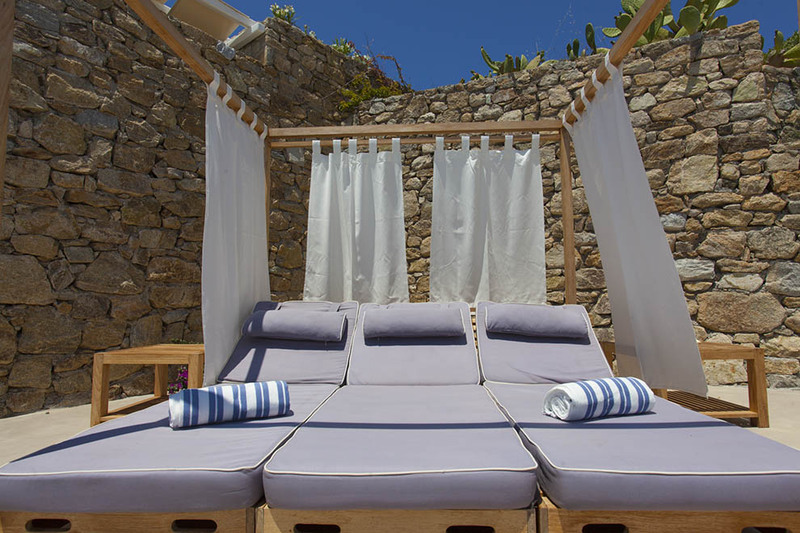 At its exterior, the property has several sitting corners and comfortable sun beds that surround the large swimming pool and along with the breathtaking view promise unforgettable funny Mykonian days and nights full of relaxation. 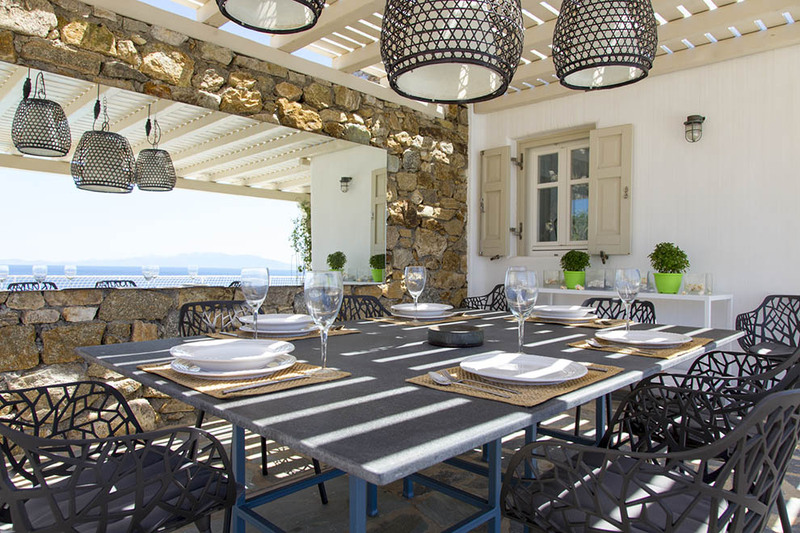 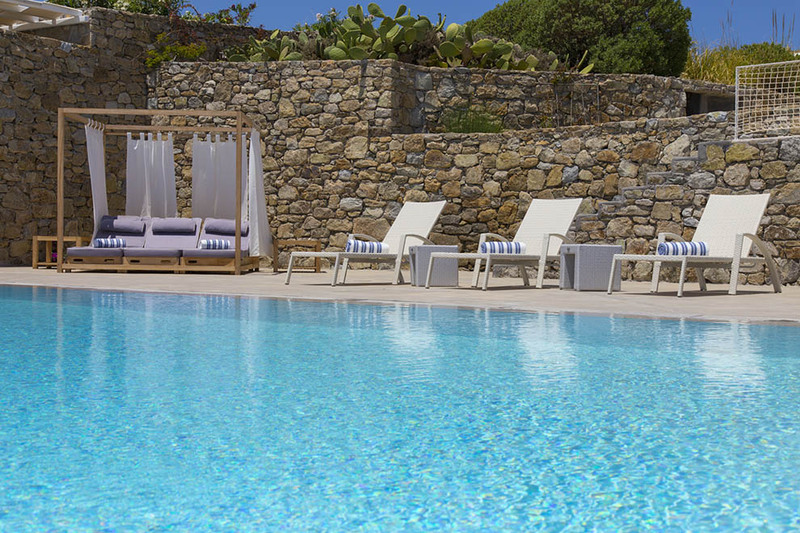 A true passion for design is evident at Villa “Carmina“. 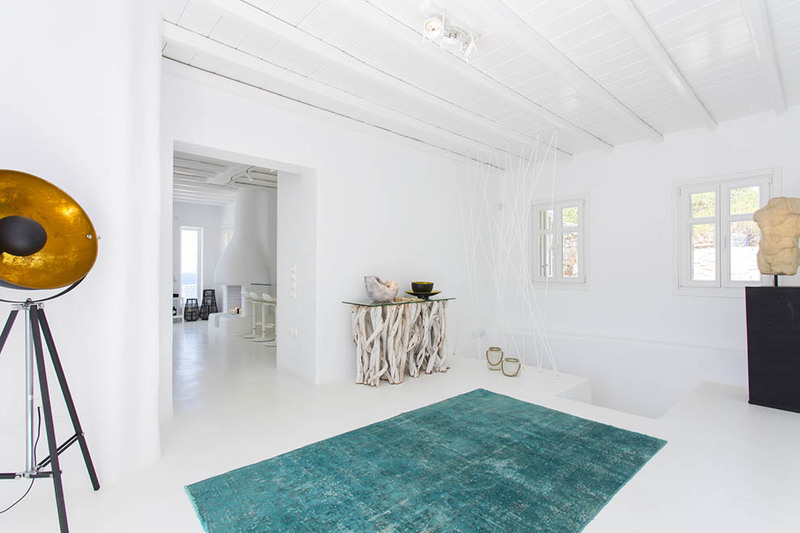 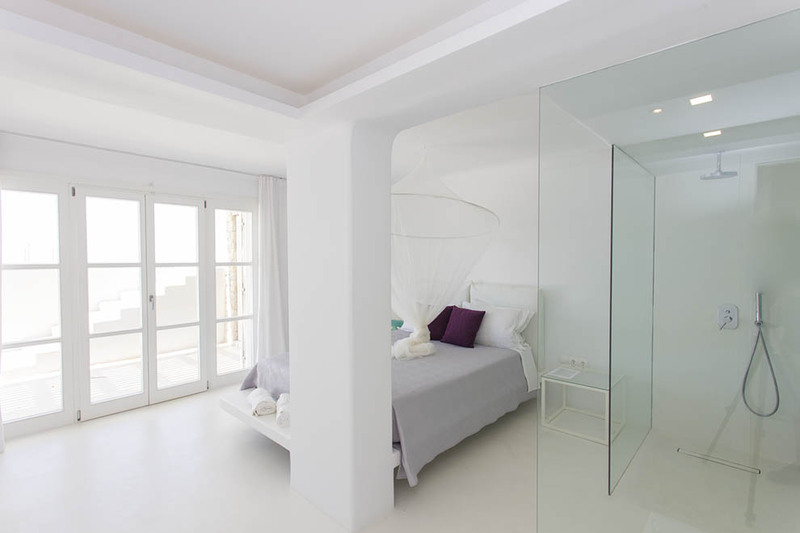 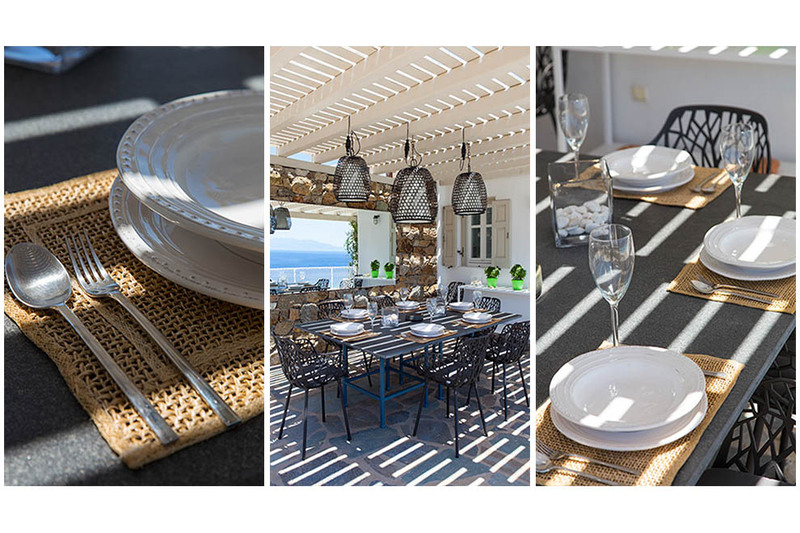 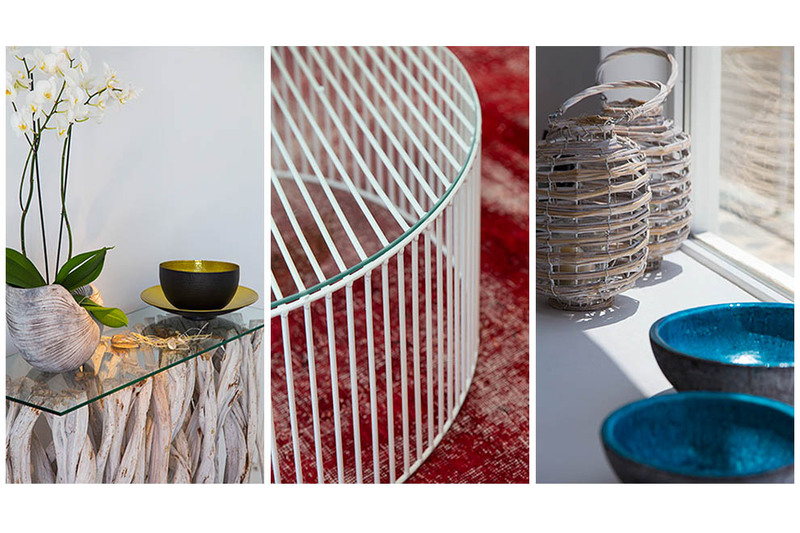 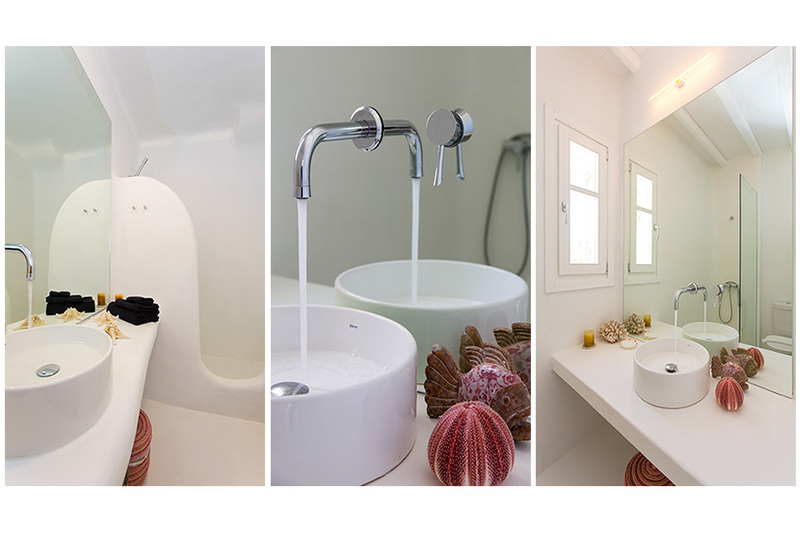 The traditional Cycladic architecture is perfectly combined with its modern and minimal decoration and chic furniture. 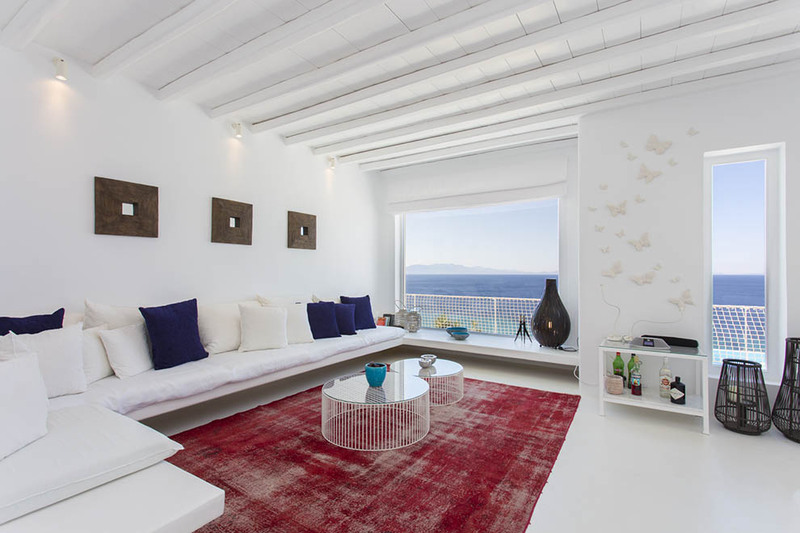 The white color dominates with some colorful hints all around. 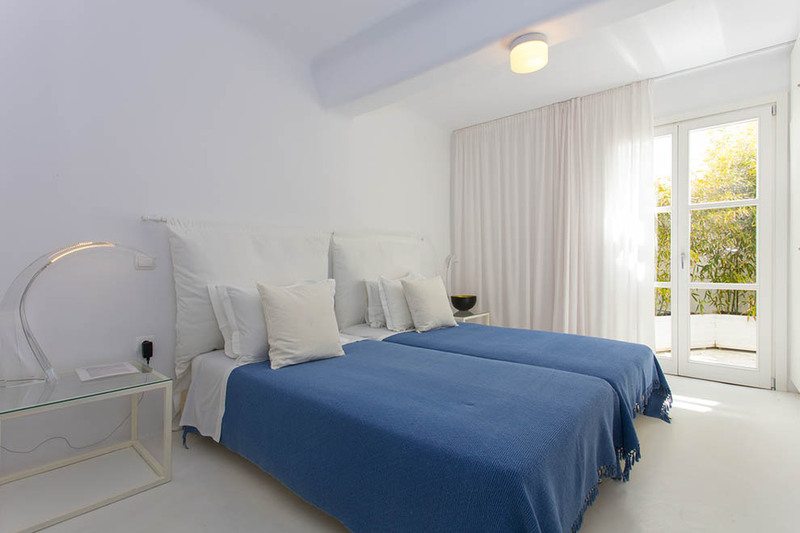 All the rooms inside are spacious and there are cozy sitting areas, a nice dining area, a fully equipped kitchen and en-suite bedrooms. 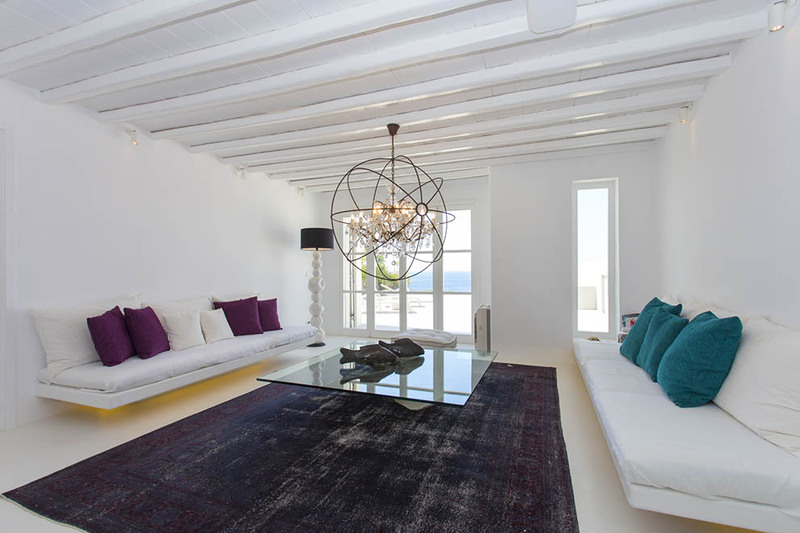 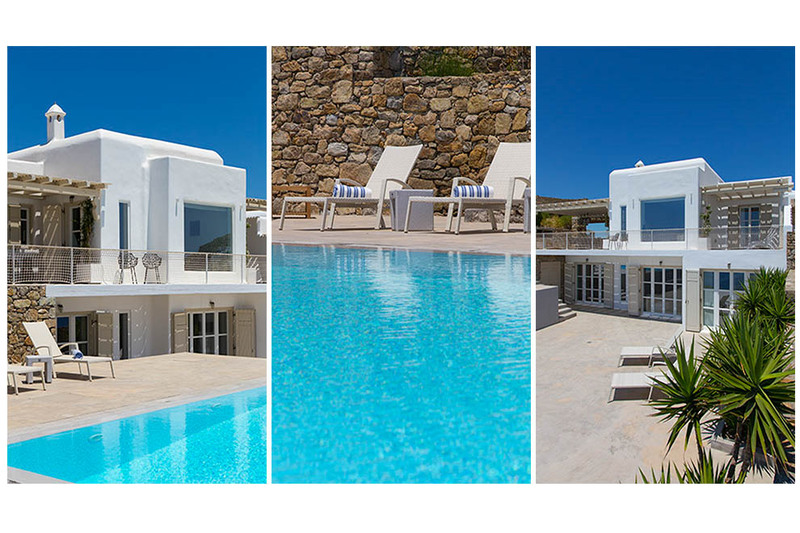 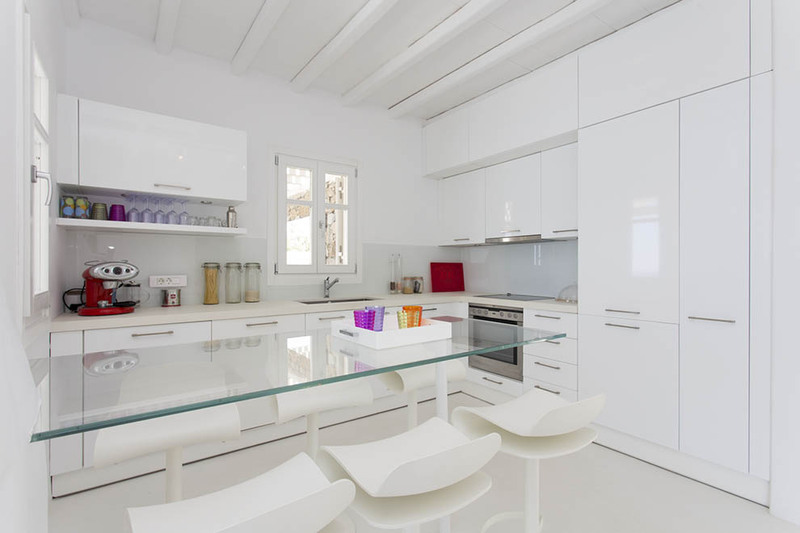 Villa “Carmina“ is a great choice for those who want to enjoy their getaway in a stylish villa in Mykonos that is very close to a stunning well-organized beach with water sports and restaurants.